White Tiger Kung Fu, Dallas / Fort Woth: A Traditional Martial Art. NEW DALLAS LOCATION OPENING SOON! Our Dallas-Fort Worth school provides a safe, positive and friendly environment for students who are looking for results. Our vision of Kung Fu is to build a tenacious attitude. Using proven, traditional methods, White Tiger students excel in all facets of life. 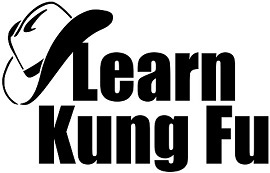 Tom Olson, the owner of our Dallas Kung Fu School, is a very experienced martial artist and highly trained instructor. He has helped students of all ages and skill levels become something greater and will be there with you every step of the way. Our Dallas School has Kung Fu classes for every skill level. WHAT IS WHITE TIGER KUNG FU? Learn more about Bak Fu Pai, aka: "The Emperor's Art". See what Dallas students are saying. See what our Dallas students are saying.